154 Hidden Court: Make a travel pillow from old pajama pants. 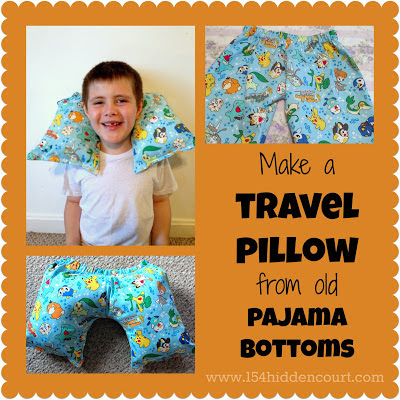 Make a travel pillow from old pajama pants. I kind of hate the word "upcycle," mainly because I don't really know how to use it correctly. Is the old thing upcycled into the new thing, or is the new thing upcycled from the old thing? Oh man, I just confused myself again. But however you say it, this totally DOES it. By the way, this idea totally came to me because I screwed something up. Anyway, this Pokemon fabric was a gift from my sister months and months and months ago, and since Zachary is Pokemon obsessed at the moment, I can only assume she thought I should make him something with it. Fast forward six months, and I finally got around to it. I decided to make him a pair of pajama shorts, which should have been a breeze. I've done this before, and it was super easy. This time, however, I screwed something up - like the rise was inches too short screwed up - and when Zachary tried them on they looked like something that belonged on a teeny-bopper girl with a tramp stamp and a thong hanging out the top. When I realized what I had done I was sad, because I knew Zachary would be sad too. A better seamstress probably could have fixed them, but I'm NOT an experienced seamstress, and I couldn't think of a good solution. Until I thought of a good solution! I quickly seamed up the leg openings, stuffed it with the innards of an old throw pillow that had seen better days, then seamed across the top, and TADA! Now it's a pillow! This one was made out of pj shorts, but you could totally use pants as well. Just cut them off to the correct length and turn them inside out before seaming up the bottom. I feel pretty good about figuring out a way to still make these useful for Zachary, and the timing couldn't have been better, since we were just about to embark on a 12 hour car trip. Now go dig through your kids' old pajamas and whip one of these up yourself. 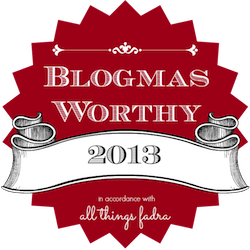 It will get you major mom points, I promise.